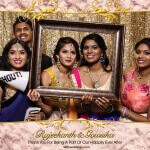 One of the many things we love about working and living in Toronto for us here at SDE Weddings, Toronto’s premier wedding videography and cinematography group, is the boundless plethora of peoples and cultures we have the utmost pleasure in working with. 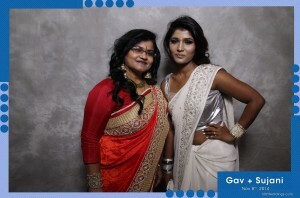 Every event seems like a step into different worlds, an immersion into a whole new culture each time. 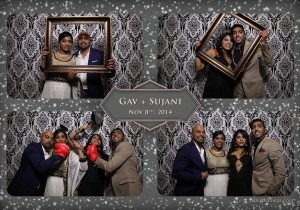 So on November 8th, 2014, we were utmost proud to prepare and partake in an auspicious wedding day photobooth for Gav & Sujana, a South Asian couple who had their wedding’s reception and celebration at Brampton’s Chandni Grand Banquet Hall, one of a handful of South Asian-themed banquet halls we’ve come across here in the GTA. 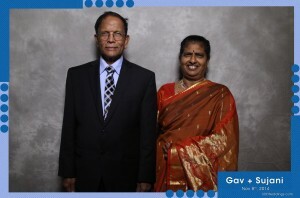 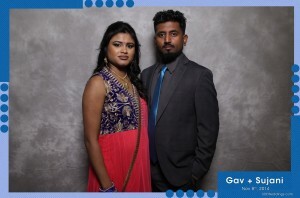 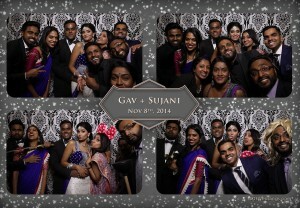 For our specially prepared photobooth setup for Gav & Sujani, we had offered two photobooth printout profiles and Sujani herself had opted to write personal notes for each of the printout covers we had distributed for the guests, a special gesture in itself from celebrant to guest. 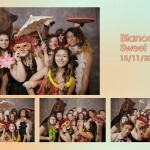 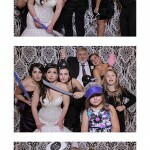 From the several photobooth preview pictures we have featured you can markedly tell the difference in attitudes between the young folk and the older generations, yet despite that, a unified feeling of celebration was undoubtedly on everyone’s mind throughout the evening. 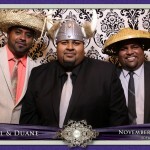 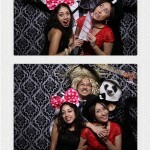 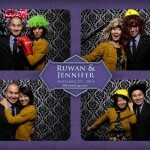 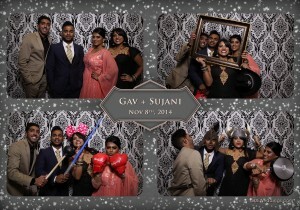 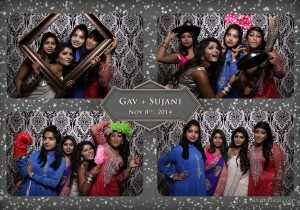 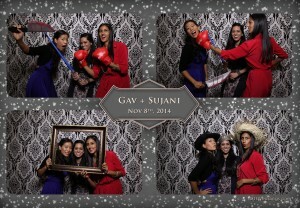 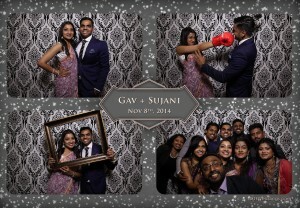 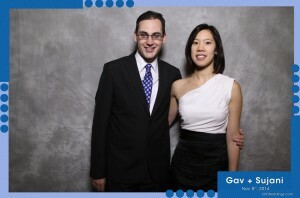 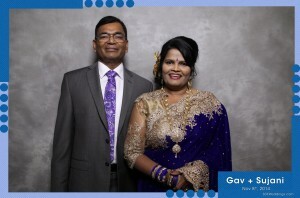 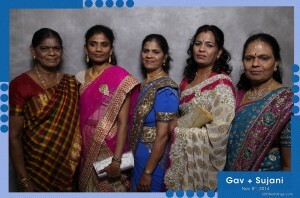 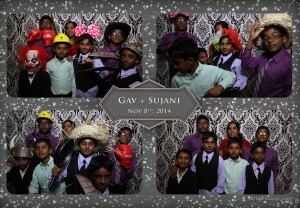 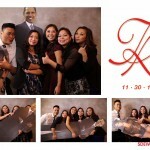 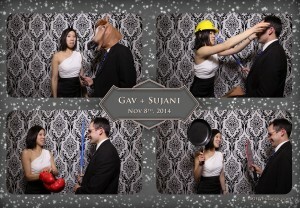 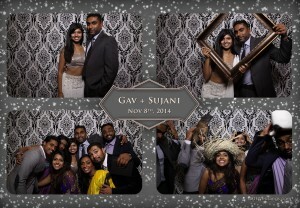 Feel free to peruse a few of our favorite shots from Gav & Sujani’s wedding day photobooth gallery below.